Forbidden Birth had me on the edge of my seat right from the start! Like every detective novel, Chris Ravello has his demons and that was really showed in the novel. Aside from, of course, the crazy case he handles, he had to worry about his health and his family - which later on became a very important aspect of the story. He was well established - his reason for entering the force, his strong resolve to protect his family. He's a commendable detective and really worth following. I honestly have not read a lot of serial killer crime fiction. Weird, huh? I mean sure, I've read several crime fiction but they're mostly murders and murders are easier to trace, yeah? They have specific reason to kill. But serial killers? They're more tricky. The Giver is a medical researcher. He kills for his research - for cloning, to create life. He's also very clever - knows how to clean his mess, how to mislead the police. Later on, he also plays around Detective Ravello's mind which is the really thrilling part of the novel. Forbidden Birth kept me intrigued. Right of the bat, I was interested and ended getting really engaged in the entire mystery solving process. I like how Ravello assess the body the moment he sees it and gives his initial findings - take note that there are several technical terms but I ended up being okay with them. I like the technicalities as well as how the bodies are described. A little gruesome but we expected that, right? As I mentioned, the Giver knows how to cover his trace, so there were several dead ends throughout the first half of the novel. It was frustrating! But feeling that way means I'm really into what's happening. There's a serial killer. There's nothing but dead ends. Serial Killer tries to make contact. This novel really has nothing but thrilling turn of events. I was always at the edge of my seat and trying to figure out how things will go - some I've guessed correctly, some I missed (especially that ending. I freaked out a bit and really I thought things were going to get messier and end in a cliffhanger. good thing it didn't, haha!). The short chapters and the multiple POVs also add up to how exciting this novel is. The short chapters are always on point - no dull moments, always something important, and makes this a really quick read! The multiple POV kept me intrigued (especially The Giver's POV). Since this is a medical thriller, there are medical sides of the novel. As I mentioned earlier, there are technical terms but those aren't really something to worry about. Everything is well explained. I also like the parts where Ravello inspect and analyse the bodies through simple observation. This is my first medical thriller and I'm so glad I gave it a try! Also, there the inclusion of the idea of cloning is very interesting. I don't know much about science and such but just considering this idea and how it's incorporated and later on brought to life in the novel is quite haunting. Really something I wouldn't want to happen in real life. (reminds me of how I'm scared of the idea of Unwind by Neal Shusterman). 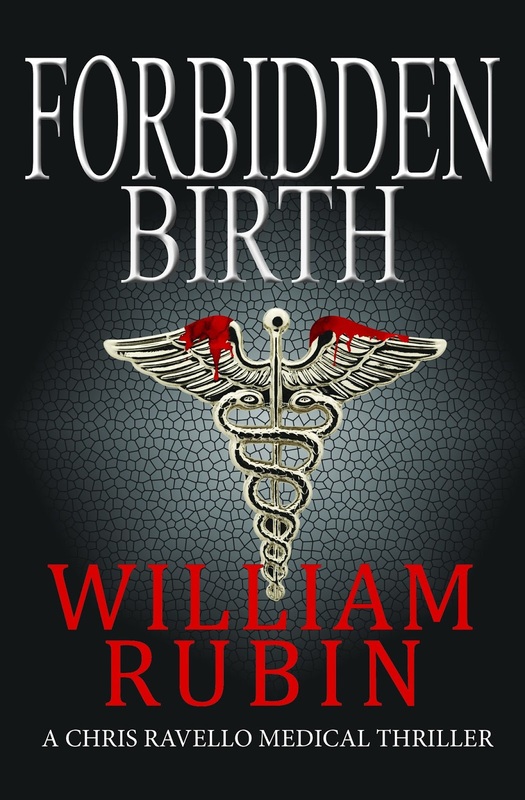 OVERALL, Forbidden Birth is thrilling medical thriller with an engaging mystery that kept me at the edge of my seat. It has an intriguing mystery, a difficult-to-track serial killer, well established detective, and a thrilling pace. Forbidden Birth is recommended read for mystery-thriller fans.